Carlos Esteban, 31, of Woodbridge, Va., a nursing student and recipient of Deferred Action for Childhood Arrivals, known as DACA, rallies with others in support of DACA outside of the White House in Washington on Tuesday. He says it goes against everything that New York stands for. Cuomo and New York State Attorney General Eric Schneiderman say the state will sue the federal government in order to protect its sovereign interest in the fair and equal application of the law. 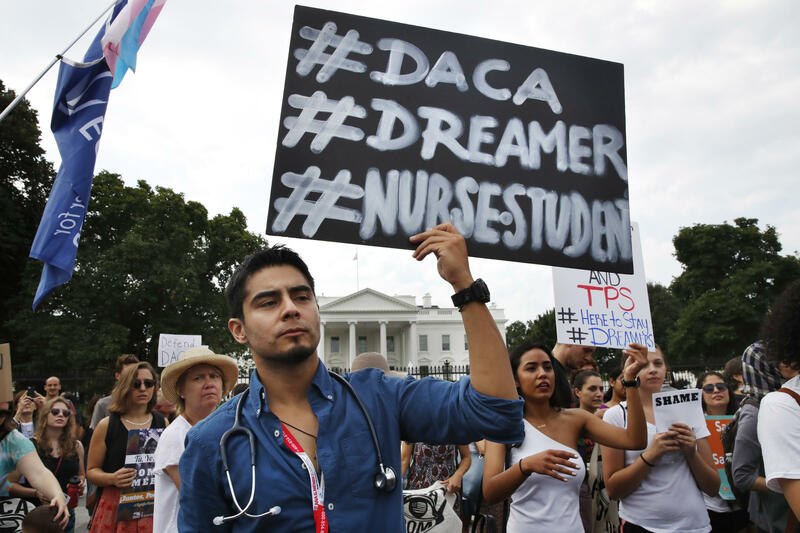 There are approximately 42,000 DREAMers in New York State, 14,000 of whom live on Long Island. Meanwhile, Connecticut Democratic Governor Dannel Malloy called Trump a coward for ending DACA. “He went from place to place to place during his campaign to say that he was going to do what he’s done, but when it came time to make the actual announcement, he shooed poor Attorney General Sessions out the door and had him do it. So the President is a coward. Malloy says Trump is ignoring the good that DACA has done for its recipients. Malloy says he’s talking with state Attorney General George Jepsen about Connecticut joining other states, including New York, in lawsuits against the move. The governor says he supports Congress taking up the matter and blames Trump for ending DACA without offering a proposal to Congress. Also in Connecticut, students and their supporters rallied across the state and in Washington, D.C., in protest of Trump's decision. 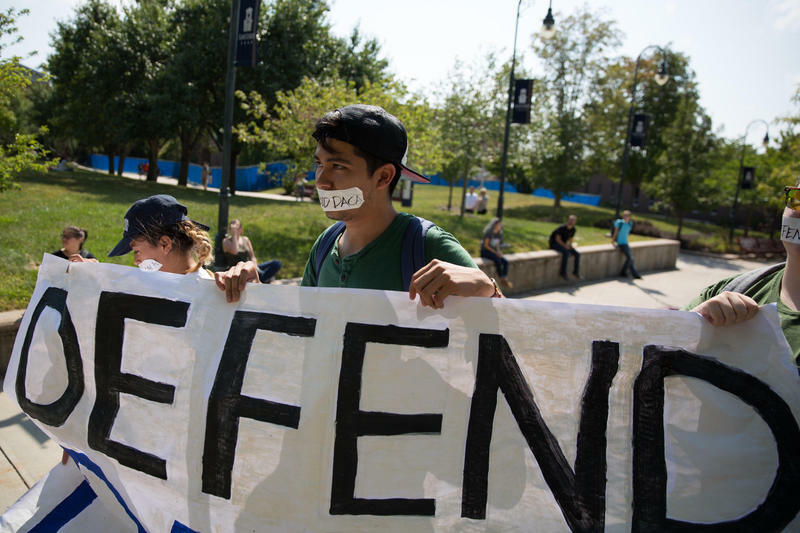 Jose Diaz, a senior at Central Connecticut State University, says he is lucky that he just renewed his DACA permit before the program ends in March. Speaking from a protest in D.C., he says his brother’s permit expires in April and he worries he will not be able to renew it. 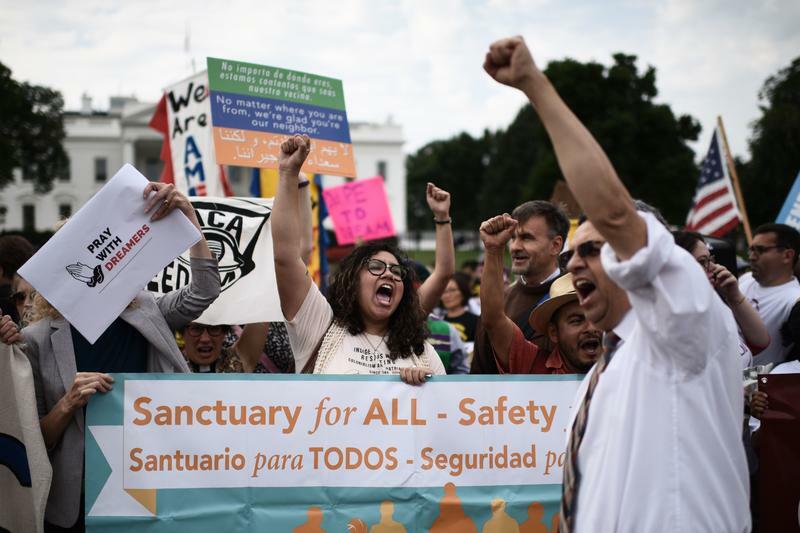 Diaz says some protesters plan to meet with elected officials on Capitol Hill after their stop at the United States Citizenship and Immigration Services headquarters. He says he hopes that Congress will create a pathway to citizenship for DREAMers like him. 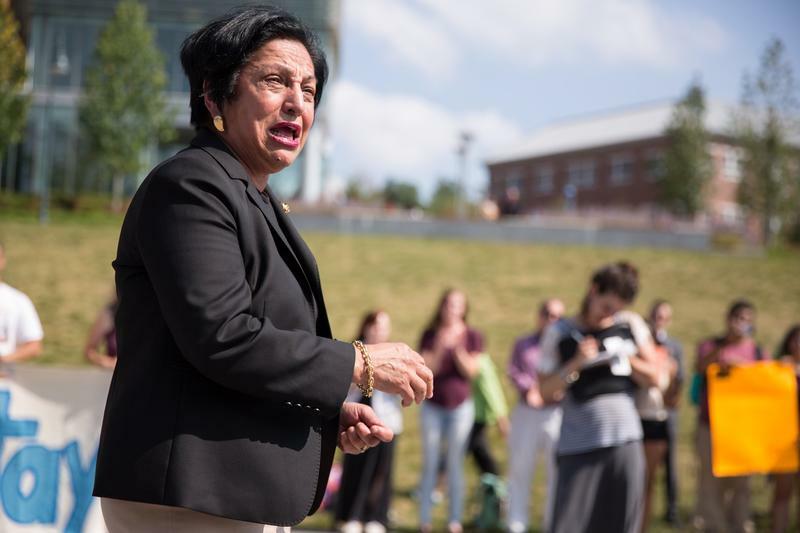 In New Haven, Mayor Toni Harp says she will support students like Diaz by working with Connecticut's congressional delegation to encourage a bipartisan immigration law. Harp added that she will protect New Haven residents. She says families who have relatives fearing deportation can find a guidebook at New Haven City Hall to help them prepare for the worst. A protest was planned for 5:00 p.m. on Tuesday next to the New Haven Green. In Stamford, protesters planned for a rally on Tuesday from 6:00 to 8:00 p.m. outside of Trump Parc, which is managed by the Trump Organization. Stamford Mayor David Martin will address the crowd. Connecticut is home to approximately 8,000 DREAMers.